MBTA Transit Police Chief Paul MacMillan utilizes an Internal Task Force comprised of officers assigned to the Patrol Operations Division, detectives assigned to Investigative Services Division and detectives assigned to the Intelligence Unit to strategically address and target criminal activity that adversely impacts the MBTA community and the residual damage caused to the neighborhoods in which we serve. Recently the Transit Police Department's Internal Task Force conducted operations at Andrew Sq. station as a direct result of community concerns and feedback regarding illegal drug use, sales and its related activity in and around the area. Chief MacMillan stated "we are committed to the safety and quality of life of our patrons, MBTA employees and communities the MBTA serves. If you attempt to sell, buy and/or use illicit narcotics on the MBTA we will identify you, arrest you and in conjunction with the District Attorney's Office prosecute you". The recent operation at Andrew Square station the Transit Police made 10 arrests, conducted 45 field interviews with individuals suspected of drug related activity, issued 35 Fare Evasion citations and 2 civil citations for Possession of Marijuana. Chief MacMillan stressed, “Although we have made a significant improvement we will continue our efforts at Andrew Sq. to reduce crime and the perception of disorder that accompanies it. 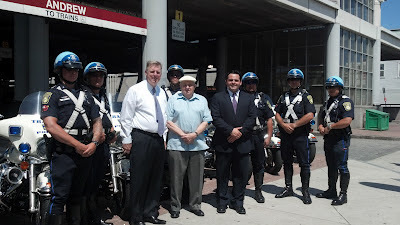 It is imperative that the residents and leaders of South Boston know the MBTA and the Transit Police are committed to being part of the solution in addressing the ongoing community concerns. Lieutenant Detective Richard Sullivan who supervises the Task Force stated “the days of unilaterally imposing law enforcement action without community involvement are long gone. We at the Transit Police are ardent believers and supporters of community policing and partnerships. We simply cannot be effective absent citizen tips, cooperation and support”. If you have any information regarding criminal activity on the MBTA we strongly encourage you to contact us at 617-222-1170, if you wish to remain anonymous call 617-222-TIPS. 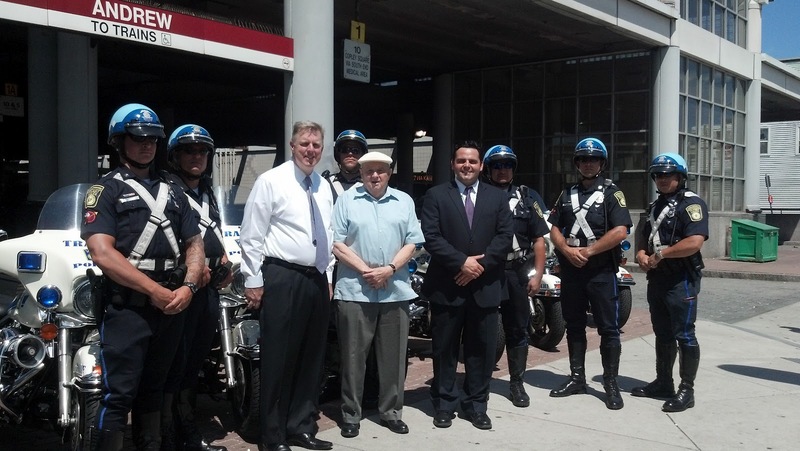 The Transit Police Department will protect the identity of those providing information. If you have not done so already please download SeeSay application on your IPhone and help us keep our transportation system safe.